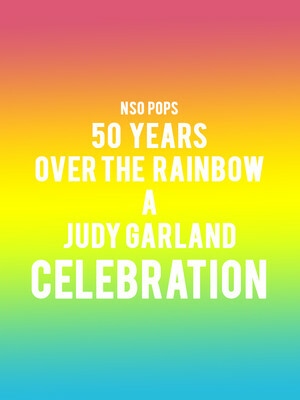 Why See NSO Pops - 50 Years Over the Rainbow: A Judy Garland Celebration? 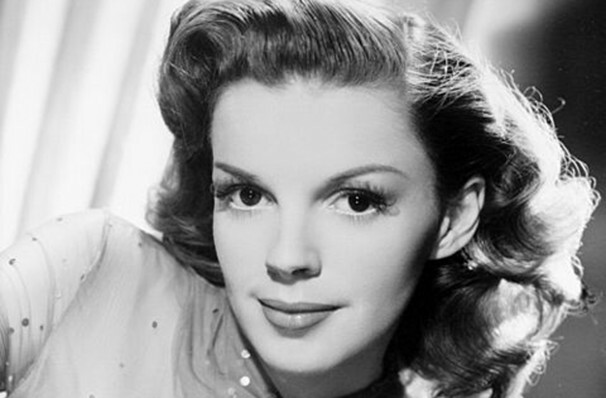 Tap your ruby slippers and transport yourself to the Kennedy Center Concert Hall for this exciting spectacular honoring entertainment icon Judy Garland on the 50th anniversary of her passing. With guest vocalists taking on tunes from her versatile five-decade career, celebrate the life and spirit of the 20th-century legend and her enduring cultural impact! Known for her powerful, poignant and elegant vocal and acting talents, Judy led the charge of the Golden Age of Hollywood musicals, starring in cherished classics such as The Wizard of Oz, Easter Parade, Meet Me in St. Louis and many more. But her genius translated far beyond celluloid, with numerous stage appearances and awards to her name, including her win of the Grammy Award for Best Album for the sublime record 'Judy at Carnegie Hall', the first to be won by a woman. Sound good to you? Share this page on social media and let your friends know about NSO Pops - 50 Years Over the Rainbow: A Judy Garland Celebration at Kennedy Center Concert Hall. Please note: The term Kennedy Center Concert Hall and/or NSO Pops - 50 Years Over the Rainbow: A Judy Garland Celebration as well as all associated graphics, logos, and/or other trademarks, tradenames or copyrights are the property of the Kennedy Center Concert Hall and/or NSO Pops - 50 Years Over the Rainbow: A Judy Garland Celebration and are used herein for factual descriptive purposes only. We are in no way associated with or authorized by the Kennedy Center Concert Hall and/or NSO Pops - 50 Years Over the Rainbow: A Judy Garland Celebration and neither that entity nor any of its affiliates have licensed or endorsed us to sell tickets, goods and or services in conjunction with their events.